Why not make it easier by using Device Management with Self-Service / Enterprise App Store? Today’s businesses expect that employees can accomplish their work-related tasks on mobile devices as well as on traditional computers – next step is Device Management with Self-Service/Enterprise App Store. 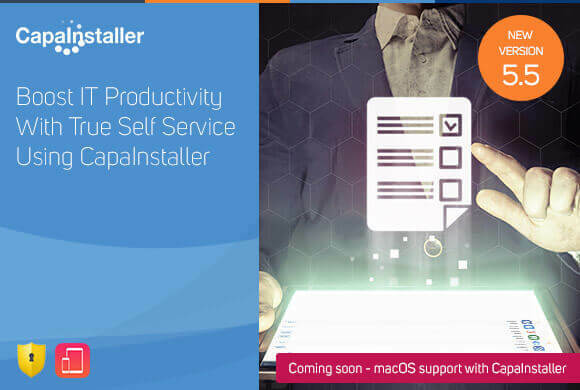 The latest version of CapaInstaller is giving IT the opportunity to reduce time-consuming manual tasks by offering CapaInstaller Self Service Portal. With a single click in the Self Service Portal users gets new applications provisioned without IT is intervened. 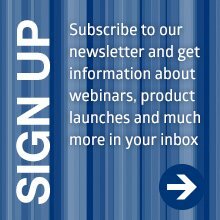 Are you interested in Device Management? Read more about CapaInstaller by clicking here. Click here and read more about why Device Management by CapaSystems is your best choice. If you want further information about benefits of using CapaInstaller, read more about Software as a Service-benefits by clicking here or Mobile Device Management-benefits by clicking here. With the latest release of CapaInstaller, we’ve taken yet another step towards fast, stable and streamlined Configuration Management – no matter whether you’re dealing with devices or computers. CapaInstaller will ease the administrative burden additionally in the IT department offering CapaInstaller Self Service portal. With a single click in the Self Service Portal users gets new applications provisioned without IT is intervened. With the new web-based CapaInstaller Management Portal, IT departments can handle day-to-day operations easily and simply – no matter whether you distribute applications or configurations. Save precious time by accessing the web-based Management Portal; it’s no longer necessary to install the software locally. Microsoft has made a clear priorities, and new hardware models are Windows-10 ready and no longer Windows 7-compliant. As Windows 10 becomes the new standard for business, we have added even more features to support the seamless deployment using CapaInstaller. With CapaInstaller MDM it is now possible to put a superviced Apple device with iOS 9.3 or later into Managed Lost Mode. In that way you can prevent reactivation of any lost or stolen devices. In Lost Mode, you can see your device’s current location, as well as any changes in its location on a map.